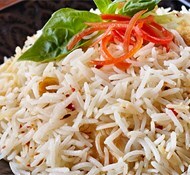 Royal® Basmati Rice makes the perfect side dish! 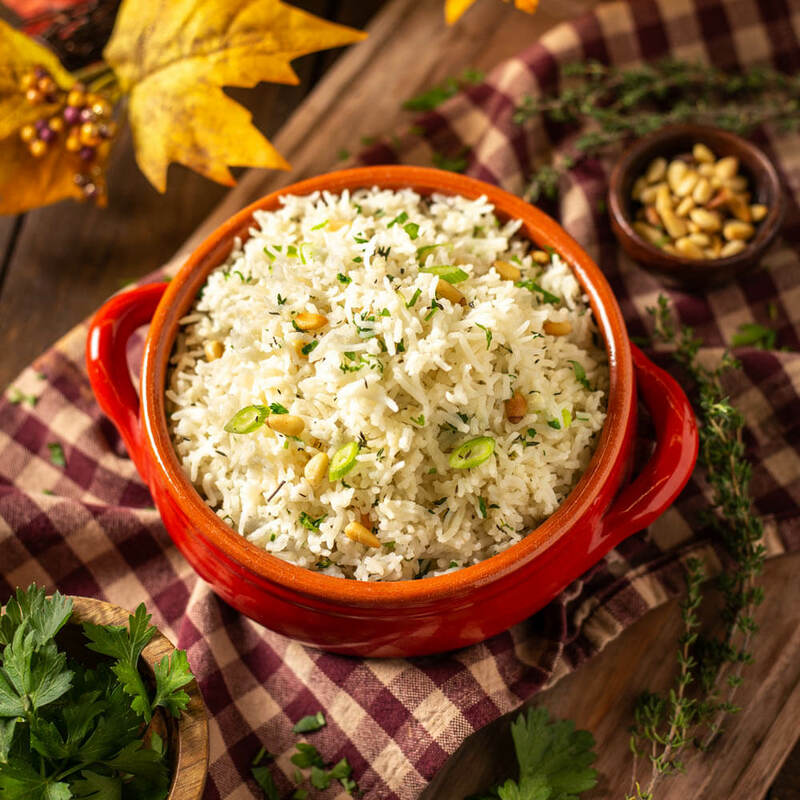 Packed with flavor, this Herbed Basmati Rice will complement any meal perfectly! Soak rice according to package directions and drain. In a large heavy bottomed pot, sauté garlic and oil. Add rice, chicken stock, salt and pepper. Bring to a boil. Cover and cook on low for 15-20 minutes or until liquid is absorbed and the rice is cooked. Take off heat, and set aside 5 minutes. Toast pine nuts at 350 degrees for 4 minutes or in a dry skillet over medium heat until lightly golden. 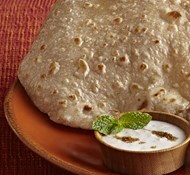 Fluff with a fork and mix in herbs, green onions, cheese, and pine nuts and serve.